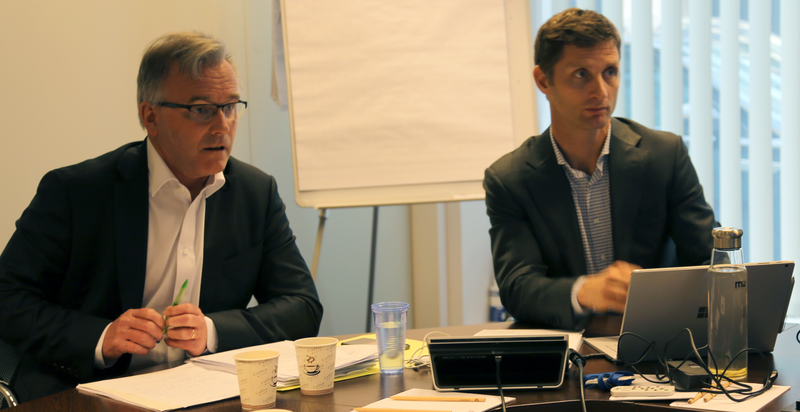 The Chair of the Working Group on Energy Matters, Johan Vetlesen and Senior Officer in EFTA Goods Division, Niels Bekkhus. The EFTA Working Group on Energy Matters met with experts from the European Commission on 12 October 2017 to discuss the Clean Energy Package and the incorporation of EEA-relevant energy legislation into the EEA Agreement. The Commission briefed the Working Group on recent developments in Council and Parliament, in particular with regard to the proposals on governance and market design. The Clean Energy Package was also the subject of an internal discussion in the Working Group, with the Member States sharing their progress in assessing the proposals. The Working Group on Energy Matters meets regularly to ensure that all EEA-relevant legislation in the field of energy is incorporated into the EEA Agreement. It also closely monitors the preparatory work of the Commission on new legislative initiatives within the sector, relating to issues such as the Internal Energy Market, energy efficiency, ecodesign and energy labelling.